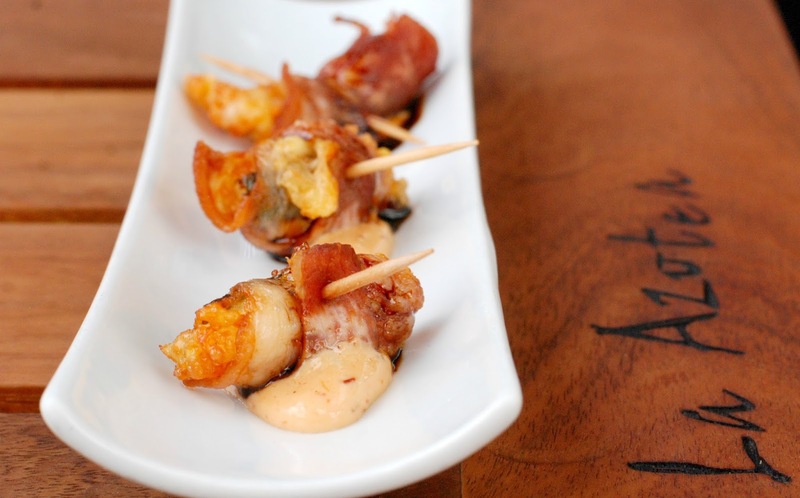 La Azotea, Umaran 6, is the king of small plates. Their best seller is my favorite too, a Jicama Taco. The shell is a thin slice of Jicama that is topped with lightly breaded shrimp, fried leeks, chipotle mayo and a tamarind sauce. I happen to think it’s one of the best and most creative tacos in town. 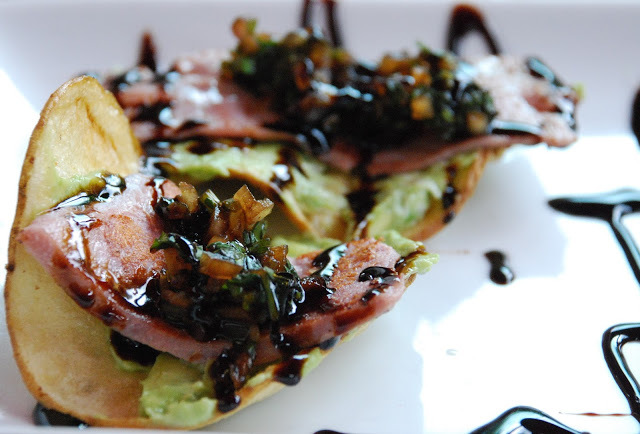 I also love the Tuna Tostada; tuna on a thick cut potato chip that is drizzled with a balsamic vinegar reduction... another original recipe. So leave it to the guys at La Azotea to come up with another innovative appetizer that’s not on the menu yet but you can ask for it. It’s chicken with a jalapeno on top that is wrapped with panela cheese and bacon. After it’s cooked, they dress it with their signature chipotle mayo and balsamic vinegar reduction. Funny that La Azotea calls these appetizers shareable dishes. No one seems particularly interested in sharing them…especially me.